I received a welcome email from Jon, the apartments manager, a few hours before check-in giving us information about parking and enquiring what time we would arrive so a member of the team would be on hand. We hoped to use the on-site parking (chargeable at £18 a day) but this was already fully booked. Jon was able to advise on alternative NCP (£21 per 24 hours) and on-street parking (£14 per 24 hours) close by and suggested we use a loading bay at the rear of the apartments to drop off our bags. It was a swift reminder that city centre parking isn’t cheap, so if you have the option arrive by train. Bristol Temple Meads is about 15 minutes walk away and once you are settled in the apartments you really don’t need your car to explore. We were met at the back door of the apartments by a lovely member of staff who helped us in with our bags before giving us the key to our harbourside facing superior three bedroom apartment on the eighth floor. As we had an hour before we needed to move the car we decided to take out bags up and have a nose around. There were just three apartments on our floor and only the penthouses above us, so we knew we’d have some great views of the city centre and harbour. Even on a dull, damp April afternoon we weren’t disappointed with the duel aspect outlook from the spacious L shaped kitchen and living area. There was even a terrace which, in better weather, would have been the perfect place to enjoy breakfast or glass of wine with the sun on your face. The living area was stylish and modern with a dining table for six, two double sofas and an arm chair arranged around a large flat screen TV, and a fully equipped kitchen with dishwasher, washing machine and coffee maker. There was a huge stock of teas, coffee pods, instant coffees, biscuits and hot chocolate to keep us going during our two night stay. Breakfast was also catered for with six mini boxes of Kelloggs cereals and a pint of milk in the fridge. I always pack self-catering essentials like a tea towel, sponge and washing up liquid but none of these were needed either. There was even a plentiful stock of dishwasher tablets. You can also expect 24 hour concierge, weekly housekeeping, a laundry and dry cleaning service, complimentary basic wifi or premium wifi for £4 a day. After giving the sofas a good jumping on, Tin Box Tot wandered off to claim her bedroom. She went for one with balcony overlooking the harbour side and announced she’d be sleeping in it alone despite sharing with her sister at home. We humoured her, knowing that one or the other of the girls would crack in the night. The other double bedroom looked out into a central courtyard of sorts and the master bedroom, which Mr Tin Box and I quickly secured before Baby had a look-in, had a large ensuite with double shower. Each room had plenty of wardrobe and draw space. A family bathroom off the wide hallway had a shower over a bath. Each bathroom was stocked with fluffy white towels and L’Occitane toiletries. Over a glass of wine that evening Mr TB and I agreed that if we could afford a city pad this would be it! The great thing about SACO Apartments is that if you want to make them your home from home for a while you can stay pretty much as long as you’d like, whether that’s a fortnight, month or a year. Oh, how tempting it was to extend our stay! The next morning we woke early, ready for some sightseeing in Bristol. But first Mr Tin Box made a quick trip to the Sainsbury Local convienently just a few doors down from SACO Apartments for fresh croissants and pastries. Our main reason for our Bristol city break was to visit the new Being Brunel exhibition at SS Great Britain, which is a 15 minute walk and short harbour ferry crossing away from SACO Apartments Broad Quay. In fact, so many of Bristol tourist attractions are within easy reach. We could see Bristol Hippodrome, Bristol Aquarium and the harbourside restaurants and bars from our apartment terrace. 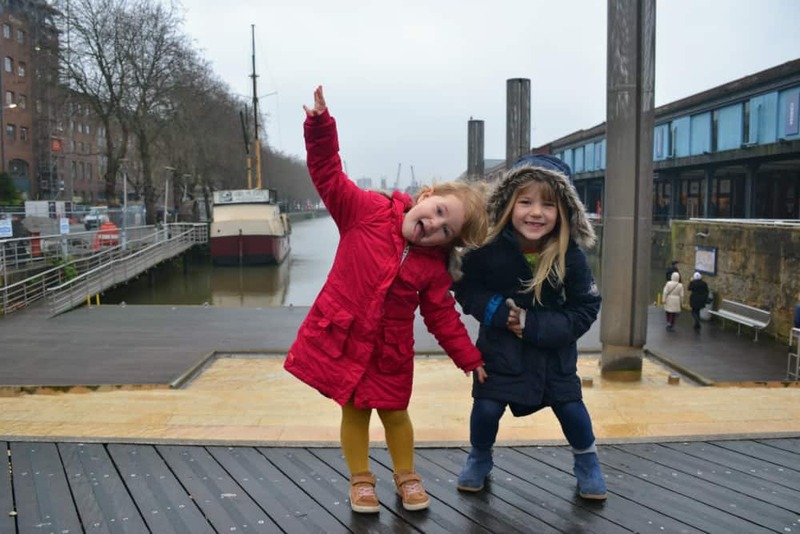 The free M Shed Museum, We The Curious and Bristol Museum are also just a short walk. Bristol Zoo and the Clifton Observatory are less than 20 minutes away by bus. We could have easily filled a week or more with Bristol City Centre days out without the need to hop in our car. 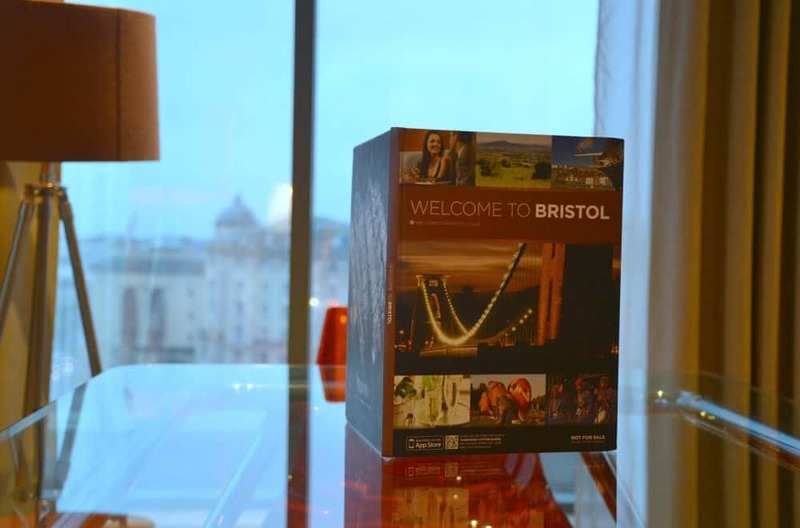 The SACO apartments at Broad Quay were ideal accommodation for our city break in Bristol. Their central location make them the perfect base from which to explore and the 180 degree views from our stylish three bed apartment were only spoilt by the un-Spring like weather. It was a real treat to return to such lovely accommodation after a busy day in the city. We did have one of the highest grades of apartment in the aparthotel but there is accommodation to suite different budgets ranging from one bed studios to the three bedroom penthouse. If there is a group of you it would certainly work out cheaper per bed than staying in a hotel, plus you have the convenience of dining and putting the kids to bed when you want. A three bedroom apartment like the one we stayed in at SACO Broad Quay costs around £500 for a two night mid-week break. Disclosure: we had a two night complimentary stay at SACO Apartments Broad Quay in exchange for a honest review on the blog. All views are my own and those of my family. That’s so true. City breaks can be very tiring! A visit is highly recommended by us. Wet love Bristol! We loved it! Lucky you working in the centre of things! The kids seem to have had a good time too. It is such a long time since I’ve been to Bristol maybe I am due another visit. I can definitely recommend it with kids! What a great view! And the apartment looks beautiful. This kind of accommodation is definitely better than a 5 star hotel, especially for families. I agree. Having your own space and being able to stick to normal-ish bedtimes really helps! Its was a great set up. We’d definitely stay in a SACO Apartment again! The happy smiles of your kids are the best! What a fun trip! Lisa recently posted…Win tickets to Towersey Festival. A wkd family pass up for grabs!